Plum has to be my favourite way to flavour jun. 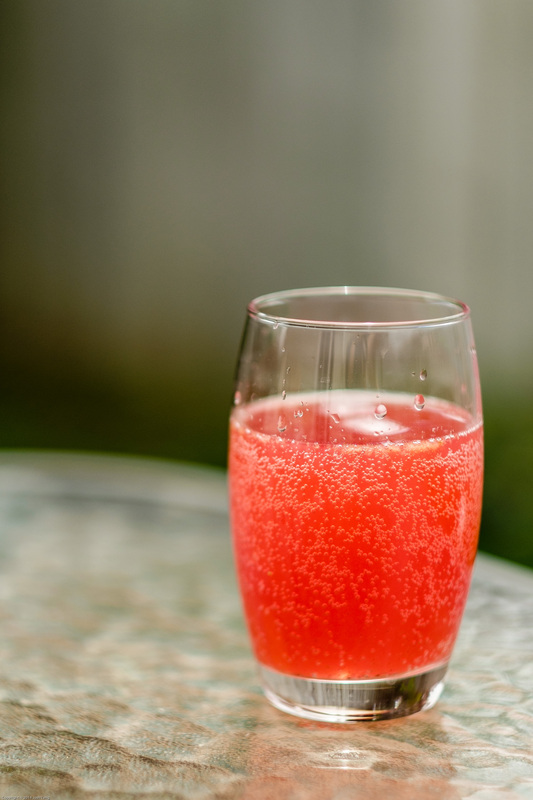 This gorgeously bright, fizzy and delicately fruity beverage is guaranteed to knock your socks off. And it takes no more effort than slicing a plum into a bottle of brewed jun. Who said amazing had to be hard?? 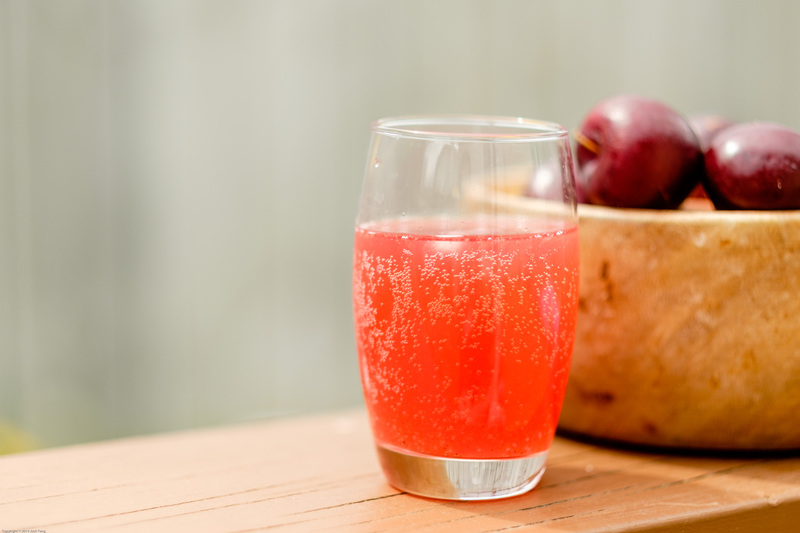 Simply strain jun into a bottle (reserving the scoby and some liquid for the next batch), add the sliced plum and cover (click here for tips on bottling carbonated drinks safely). Set in a dark place, testing the levels of sweetness and carbonation periodically. If the ambient temperature is warm, check every 12 hours or so. During cooler temperatures it may take a few days. Once it’s exactly how you like it, transfer to the fridge. Refrigerated, plum jun will store well for at least a couple of weeks (disclaimer: I’ve never had a brew last more than a week). However it will become gradually more sour over time, and it’s probably good practice to uncap the bottle weekly to prevent excess carbon dioxide from building up. When starting with a live probiotic culture, it pays to build up slowly and allow your body time to get used to it. Start with a small glass, and if you suffer from digestive complaints, even a few tablespoons diluted in juice may be wise.